On behalf of the Seeding Labs Board of Directors, I’m writing to share news of a leadership transition. After 16 years leading Seeding Labs, Nina Dudnik has decided to step down as CEO and the Board has selected Melissa P. Wu as Nina’s successor. The entire Board of Directors joins me in extending our heartfelt thanks to Nina for her years of tireless service as Founder and CEO of Seeding Labs. Her vision of a world where talented people, regardless of origin, have what they need to solve the problems most important to them has inspired us all. Since 2003, she has been the passionate leader of Seeding Labs’ worldwide movement dedicated to supporting the ability of scientists everywhere to achieve their scientific aspirations. We are grateful for her tenure. You can hear directly from Nina about her founder's journey in this letter she wrote to the Seeding Labs community. The Board and I believe in the Seeding Labs team and want to make sure that the organization has the ability to continue creating the change around the world that is so important. With that in mind, the Board searched for a leader capable of both defining new aspirations for the impact we want to create and leading through the necessary changes in front of us. 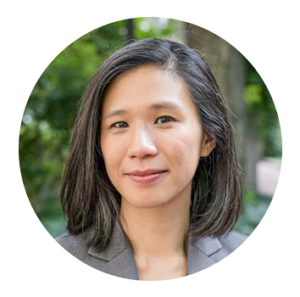 I am delighted to announce that the Board of Directors has selected Melissa P. Wu, PhD, to succeed Nina as Chief Executive Officer and she has assumed the role. 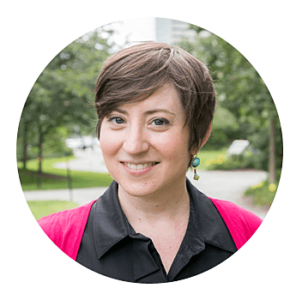 Most recently, Melissa was Senior Vice President of Operations at Seeding Labs. She has worked alongside Nina for more than 10 years, beginning first as a volunteer during her graduate studies at Harvard University. Since then, Melissa’s leadership has been crucial to the success of Instrumental Access as it expanded and matured to the transformational global program it is today. The Board is confident that Melissa’s deep knowledge of the organization and steadfast commitment to diversity and equity in science make her the ideal CEO as Seeding Labs embarks on its second decade. You can learn more about Melissa’s vision for the future of Seeding Labs in this letter she wrote to the Seeding Labs community. Our mission to empower every scientist to transform the world has never felt more vital. We are confident that Melissa and the Seeding Labs team are prepared to realize that mission in the months and years ahead.